Welcome to Spicar’s Martial Arts. With 2 locations and over 10 years of serving local communities we are the #1 choice of many conscious parents. Parents, who are looking for a stable, positive, safe and professional environment for their children. Join our large family of over 450 students and almost 100 black belts. TAP THE BUTTON BELOW TO ACCESS OUR WEB SPECIAL TRIAL. Our mission is to help students discover their strength, passion and teach them they can achieve anything they set their mind to. Your child will be in good hands. Our instructors have years of experience in teaching martial arts and working with children. Our positive instructors truly care. In other words, kids develop confidence not because parents tell them they're great, but because of their achievements, big and small. And that is what our program is about. We will give your child opportunities to earn his or her own victories. From small like a nod or high-five to big like becoming a Black Belt or joining our Leadership Program. We have over 300 5-star reviews on Google, Facebook, Yelp, Yellow Pages and other review sites. Planning a Karate Birthday Party? We can help! Birthday Parties are an awesome way to enjoy the “ninja” experience. At our locations the birthday parties are a fun and safe way for kids to try out the “ninja training” while celebrating their special day. We strive to make your child’s birthday experience the best birthday party ever. Birthday parties are for kids ages 4 and up. Kids love us and parents trust us! 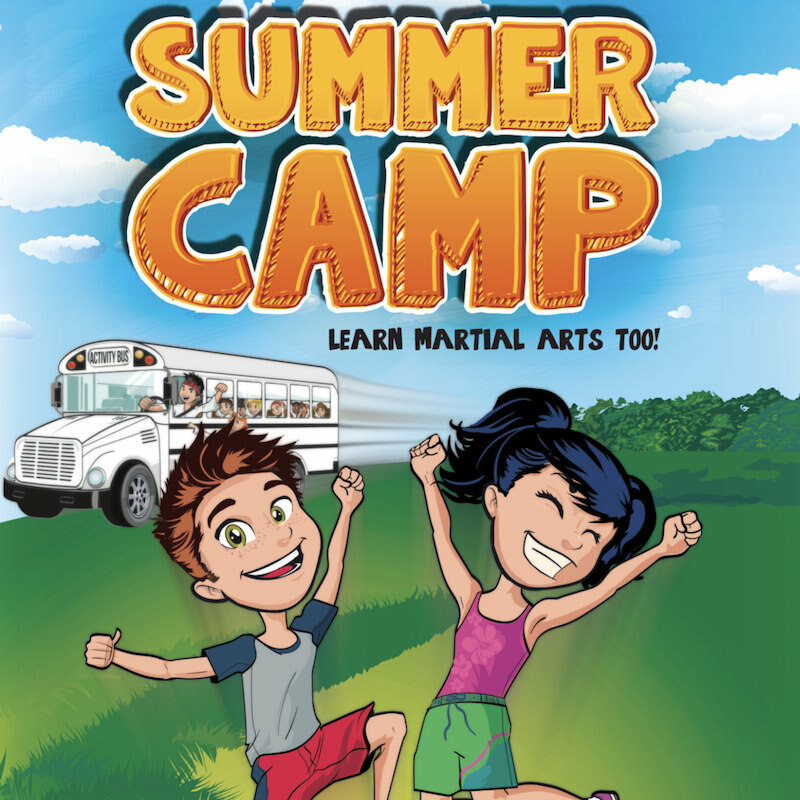 So many summer camps are boring and kids don't have fun or learn useful things to help them become successful in home and school. Our summer camps are different! Full of fun and fitness and awesome life skills like Honesty, Patience, Teamwork, Self-Esteem and more. Your child will get tons of summer fun while learning in a safe, fun and structured program.